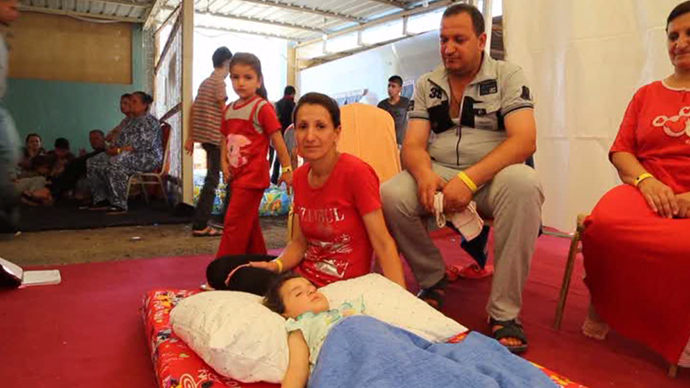 The ISIS offensive against Christian villages in northern Iraq forced tens of thousands to flee their homes. Exhausted and terrified, refugees found safe haven in Kurdish-held territory. They left everything behind and are now uncertain about the future. “Food, clothes, medicines, important papers - everything we left behind. I don’t know how we’ll get by. Someone donated those blankets and pillows and that’s all we have,” one of the refugees, Amira, told RT’s Lucy Kafanov in a shelter in the outskirts of the Kurdish city of Erbil. Just last week, up to 10,000 people from the predominantly Christian communities of Qaraqosh fled their homes and flooded into Erbil after mortar rounds landed near their ancient town outside ISIS-controlled Mosul, the UN estimated. “All of a sudden we heard shelling and explosions. We didn’t know who was attacking us. We just knew we had to get out,” a man named Jacob told RT. As the families fled in a panic, an entire village emptied overnight, as Lucy Kafanov reports. Qaraqosh is an historic Assyrian town of 50,000 people, located approximately 30 kilometers south-east of Iraq's second largest city, Mosul, where armed opposition groups seized control two weeks ago. “There’s no safe place left in Iraq. In Baghdad they used to slaughter you for being Christian. Now in Mosul it’s the same thing. There’s no one to protect us,” Firas Ammar, another refugee, said. The Kurdish region has welcomed more than 300,000 refugees from Mosul and other places overrun by ISIS. Now volunteers are trying to collect humanitarian aid as more and more people keep coming to the camp. But there is not much they can help with as supplies are limited. The UN said food is being supplied by local charities and international aid organizations. With ISIS moving deeper to the center of the strategic oil hub of Kirkuk, families in the villages across the area packed up their belongings to flee to safer areas. 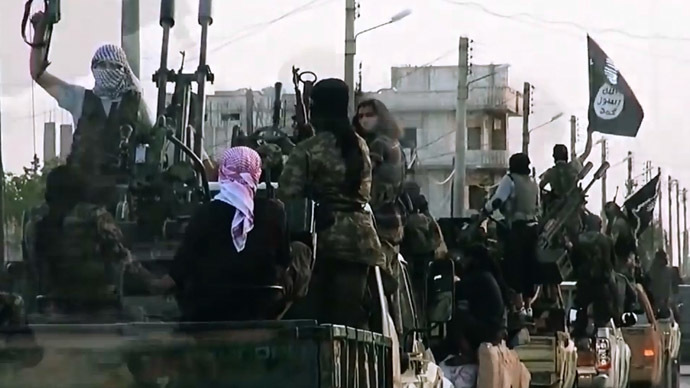 ISIS jihadists have taken control over some Turkmen communities, both Sunni and Shiite, including the towns of Bashir, Taza Khormato and Tuz Khormato. Despite political and territorial disputes, Kurdish and Turkmen fighters fought side by side against ISIS. 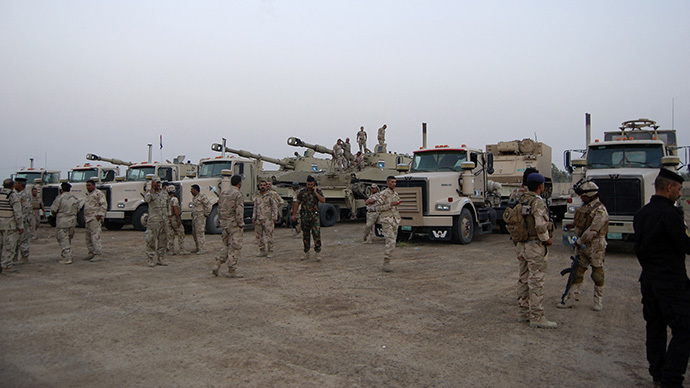 After the Iraqi army pulled out of the area in mid-June, following a major offensive by armed insurgents, the Kurdish administration's defense forces -the Peshmerga - seized control of the oil-rich city of Kirkuk. “The Sectarian divide is real and it’s becoming more violent. And that’s why you need to separate the communities and have everyone take care of their own,” Najmaldin Karim, Governor of Kirkuk, told RT. In the deserted town of Taza Khormato, some 10 kilometers (6.2 miles) south of Kirkuk, populated by Shiite Turkmen, only armed men remained defending their homes in the Turkmen Shiite town. Their wives and children had been moved to safe areas. Some 1,500 armed men were already on guard against ISIS as a part a newly-formed Turkmen militia facing extermination from Sunni militants. They used to be drivers, teachers, farmers and businessmen, who took up arms two weeks ago after ISIS slaughtered dozens of their people in a nearby village. The radical Sunni militant group, notorious for its brutal violence, separated from Al-Qaeda in early 2014. Since the beginning of June, they have seized major areas of western and northern Iraq, committing mass murders of opposing Shia Muslims in the region. 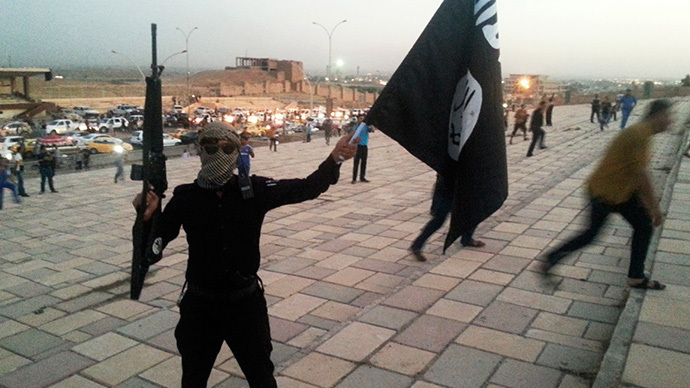 Initially know as ISIS/IL - the Islamic State in Iraq and the Levant – the jihadists declared the captured territories from Iraq's Diyala province to Syria's Aleppo a new Islamic State - a “caliphate” on Sunday. They removed 'Iraq and the Levant' from their name, urging other radical Sunni groups to pledge their allegiance.